Eleven players represented by LTA Agency from five different national teams will take part to the 25th annual appointment of a prestigious women’s football event in Portugal this year. The Algarve Cup is an invitational women’s football tournament held each year since 1994 in the Algarve region of Portugal. Last year’s trophy was bag by Spain for their first participation with five players represented by LTA in their squad (Amanda Sampedro, Irene Paredes, Veronica Boquete, Virginia Torrecilla and Vicky Losada). This year the tournament will run from 28 February to 7 March with 12 competing teams organize in 3 groups. Group A: Norway, Australia, Korea Republic, Portugal. Group B: Sweden, Canada, China, Russia. Group C: Denmark, Netherlands, Japan, Iceland. 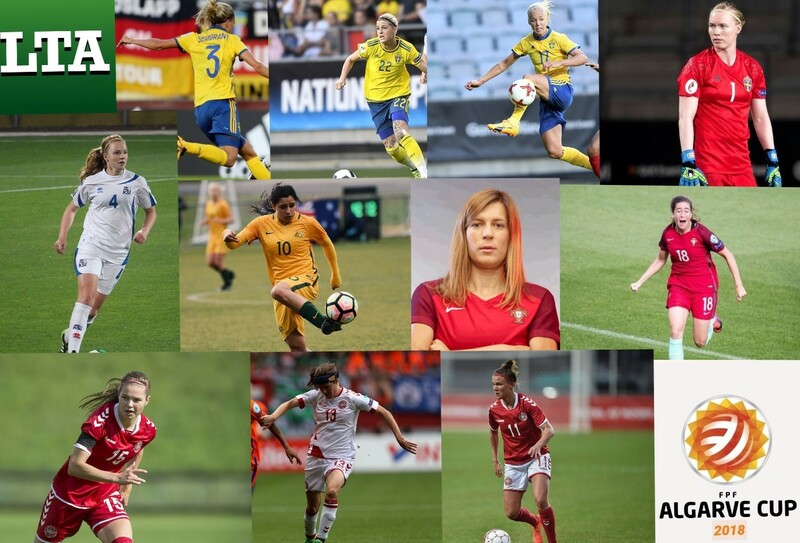 Young, talented and experienced, a total of 11 players from five different teams that will compete at Algarve Cup 2018 are represented by LTA Agency. LTA Agency wish good luck to all the players.